The smartest retailers are moving beyond physical, and beyond digital. Unified retail, as we spotlighted in Beyond ‘In-store vs Online’: the Rise of Unified Retail, is the next logical step in commerce – and it’s helping retailers deliver powerful customer experiences like never before. But what does unified retail look like, and how can retailers enable seamless and consistent experiences across all customer touch points – both in-store and online? To paint a picture of unified retail in action, let’s follow Mina’s customer journey at her local car dealer, Lux Motors. It’s been a long time coming, but Mina is finally ready to make the splash on her first set of wheels. She’s heard great things about Lux Motors, and their reputation for great customer service seals the deal. She makes her purchase. While finalising the sale, the dealer captures Mina’s email address. A customer profile is automatically created – and immediately visible to Lux Motor’s Marketing, e-commerce, and Customer Service teams. Using data from the sale, Lux Motors sends Mina a personalised marketing email recommending products and services to go with her new car. This prompts Mina to browse the website, where the company records her apparent interest in annual servicing. The following payday, Lux Motors’ in-store beacons pick up Mina walking by. Based on her browsing data, an offer is pinged to her phone – a 25% off voucher for their premium annual service plan. Mina, delighted at the timely offer, makes a spontaneous trip into the dealer to discuss the offer. Though happy with her deal, Mina notices that the promised documentation has yet to come through after a fortnight Mina tweets her disappointment at the holdup, which Lux Motor’s social listening tool uses to create an automatic customer service case. Armed with Mina’s purchase history and details, Lux Motors service team resolves the issue before the day is over, as well as dispatching vouchers for their online store as compensation. As a result, Mina tweets again, only this time it’s to express delight with the hashtag #bestcustomerservice. This is just one example of how a unified retailer can use customer data to create an amazing customer experience both in-store and online. In unified retail, customer interactions are transparent and connected. Thanks to the seamless interplay between staff in-store and online, there’s never any risk of a customer receiving recommendations for a product they’ve already bought (or returned). Just the products they want to see, when they want to see them. Getting unified retail right means sharing data on a single platform with visibility across Marketing, e-commerce, and Customer Service. And with everyone on the same page, your customer content becomes powerfully accurate. We’re talking every tap, click, and exchange – at every touch point. And by opening that level of visibility across a single platform, unified retailers cultivate truly personalised customer experiences, no matter what channel their customers use. There’s a lot of hype about AI right now, but – looking at what brand marketers are achieving – it’s justified. Better yet, AI driven automation is a great way of simplifying some of unified retail’s more sophisticated processes and enabling more timely customer communications. Mobile and unified go hand in hand. Giving sales assistants tablets not only empowers them with that 360-degree view of the customer in front of them – it also makes capturing additional data as natural as greeting customers at the door. As needs shift and change, unified retailers require a platform that they can scale on-demand, allowing them to launch new websites, move into new markets and territories, and deploy new applications – all without missing a beat. Unified retail is happening. Right now. As customer expectations continue to shift towards the fast, consistent, and personalised, the case for unified retail is becoming overwhelming. 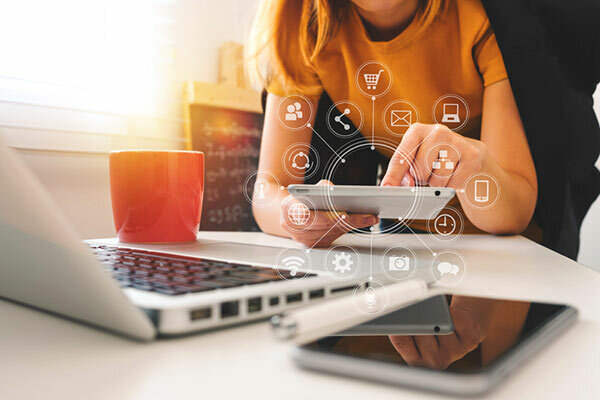 And today’s smartest retailers know it – even as you read this, they’re busy blending in-store and online experiences to connect with shoppers in a whole new way. Explore our interactive page to see why unified retail is the future, and discover who’s blazing a trail in unified retail today.